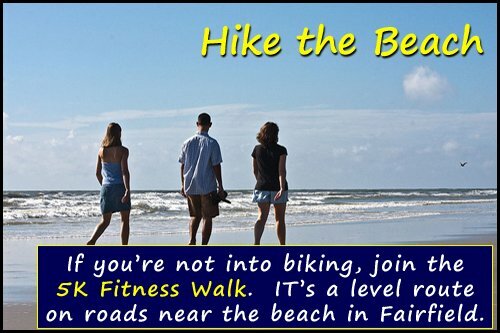 Come Bike the Beach / Hike the Beach on a picturesque route beginning at Jennings Beach in Fairfield, Connecticut. Follow the route through as many as five historic New England towns. All of the routes pass by scenic beaches. Maps will be available day of the event. 100% of the funds raised from Bike the Beach 2019 will be used to benefit people with developmental disabilities through the activities of the Probus Club of Greater Bridgeport and its support of other community organizations such as The Kennedy Center, Inc. Enjoy a challenging tour or a more leisurely family ride/hike. Scenic routes pass through as many as five historic New England towns on the CT coast. Choose from well marked rides of 10, 20, 45, or 62 miles or a 5K fitness walk. All proceeds support people with disabilities in our community through the volunteer programs of the Probus Club.